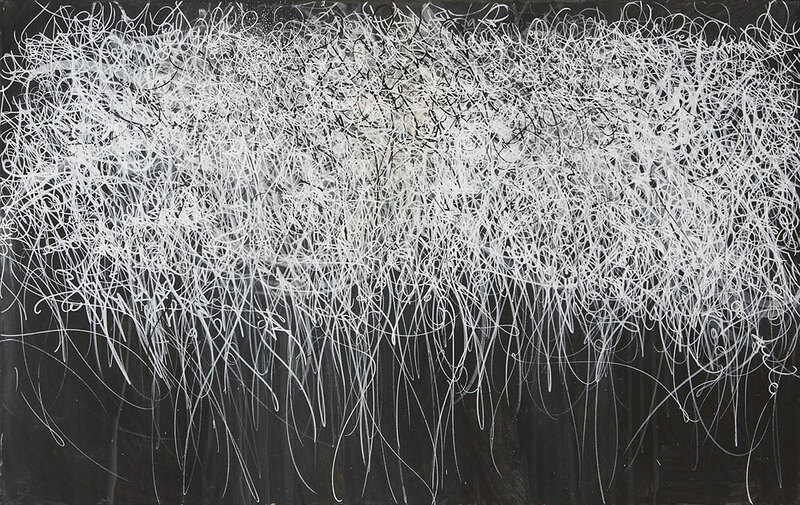 Jose Parla is an artist living and working in Brooklyn, NY. 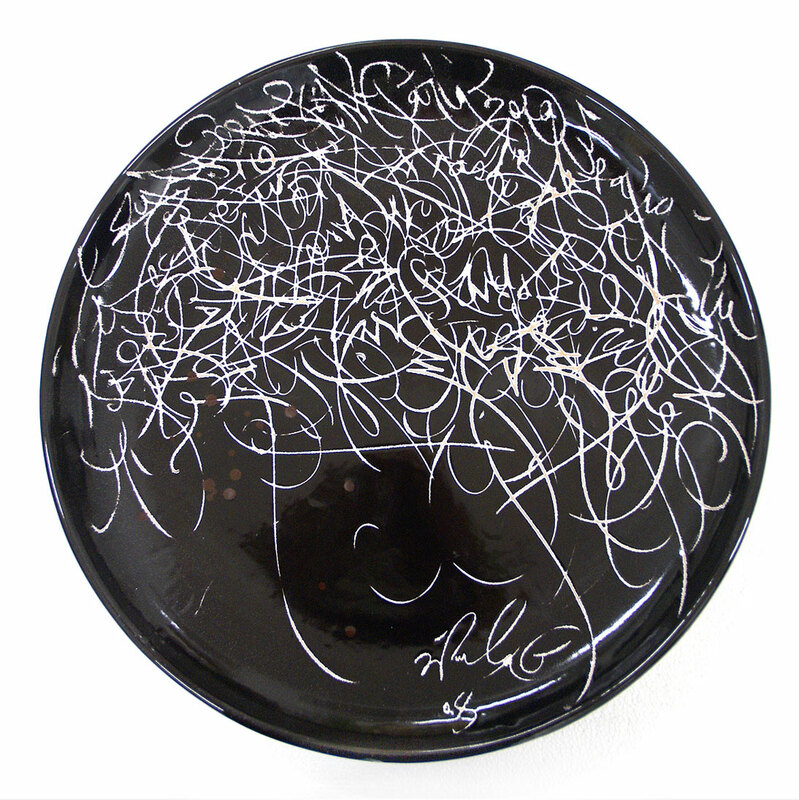 His paintings and drawings layer asemic and semantic script. Some of the script on bottom layers bleed through to top layers. 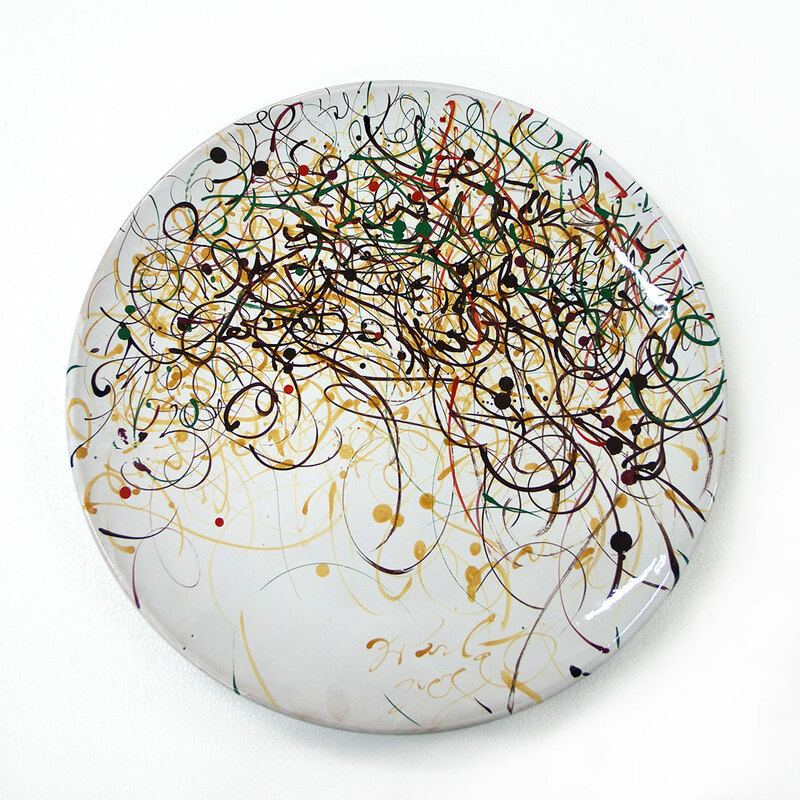 He has also ventured into the ceramic medium. 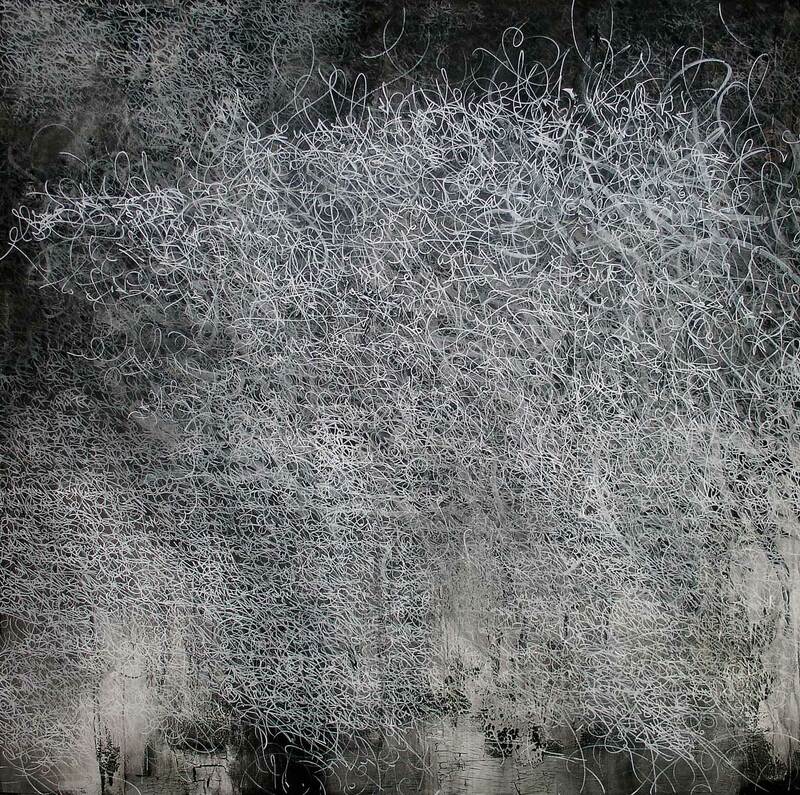 His work has been compared to palimpsests, ancient texts produced at a time when writing material was scarce or expensive, causing the writing material to be scraped or washed of information and written over again when necessary. 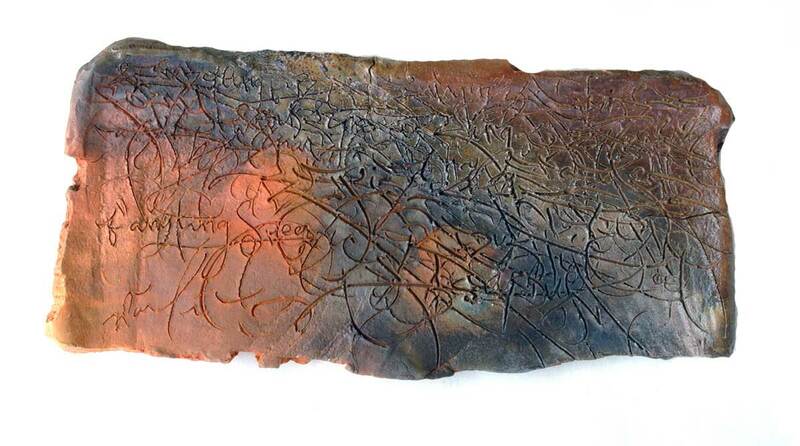 The word originated with Romans, who habitually wrote on tablets of wax, which could then be scraped or smoothed over. 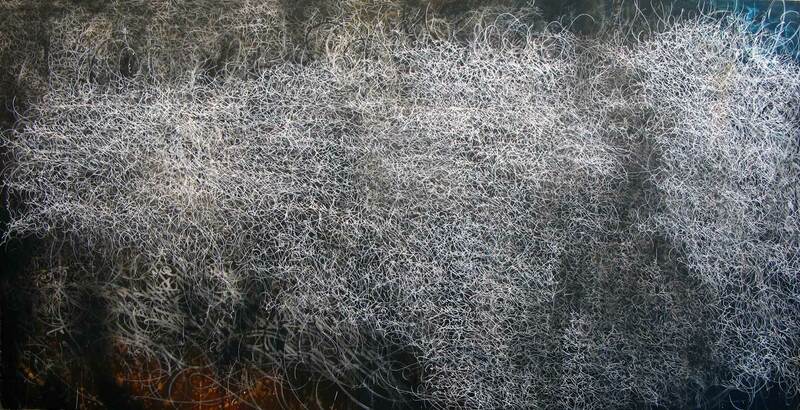 I’d like to achieve the depth and delicate clarity of his paintings. 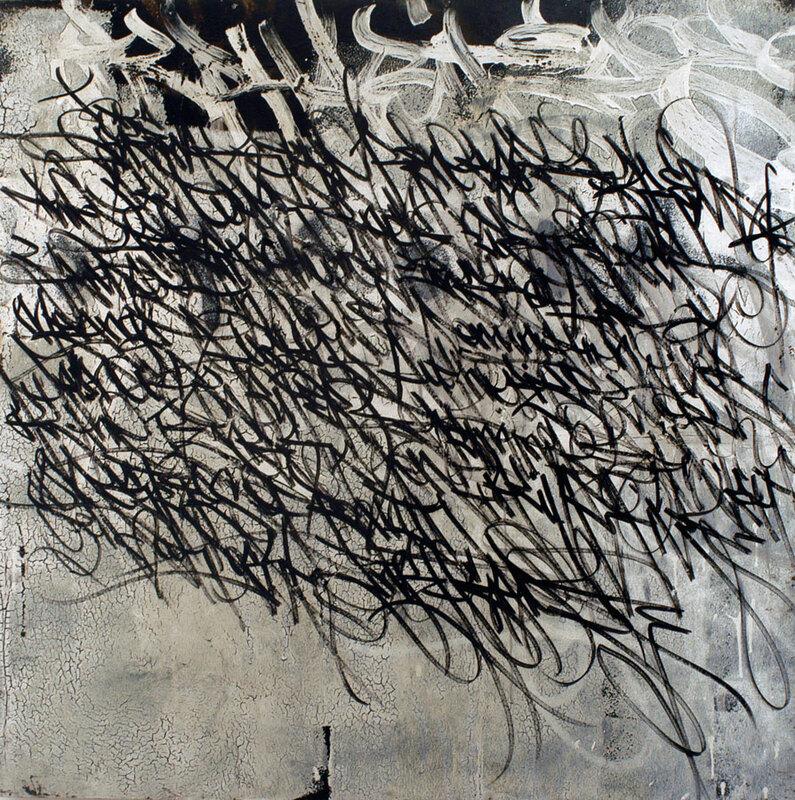 He originally arrived at his interest in layered script through studying decaying walls filled with graffiti. Graffiti intrigues me as well. I mean, tagging…the incredibly primal impulse to record the simple fact that you were here, the added poignancy of choosing one’s own name, the ostensibly anonymous nature…it’s a fascinating and poetic gesture. 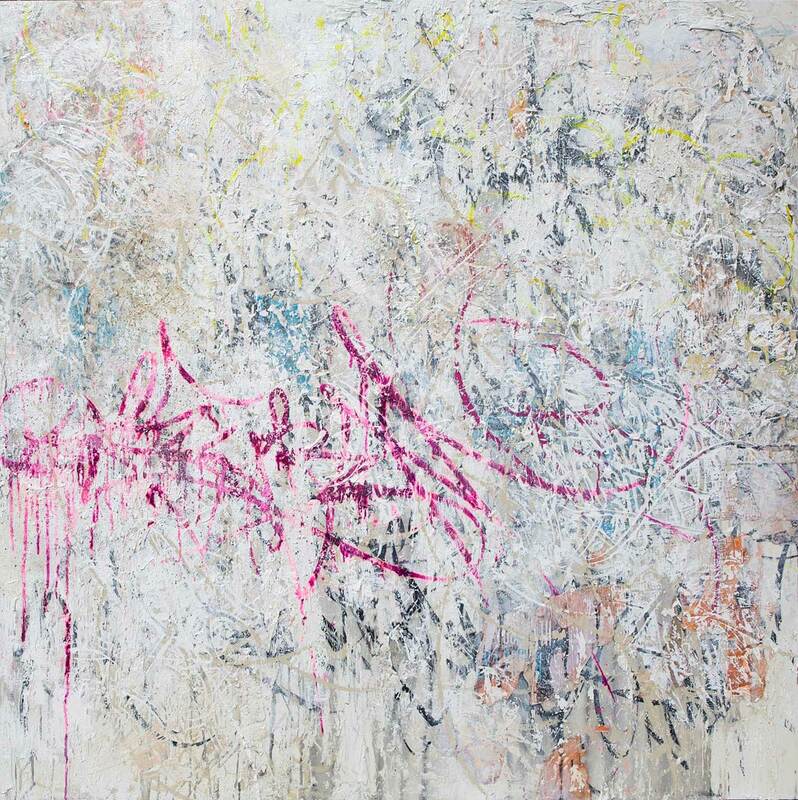 This entry was posted in studio research and tagged asemicscript, joseparla, palimpsest by saramourton. Bookmark the permalink. Great find, I can see how this could really inspire and inform your work. I find the similarity that both the crisscross letters and the layering palimpsests are a direct result of material cost. 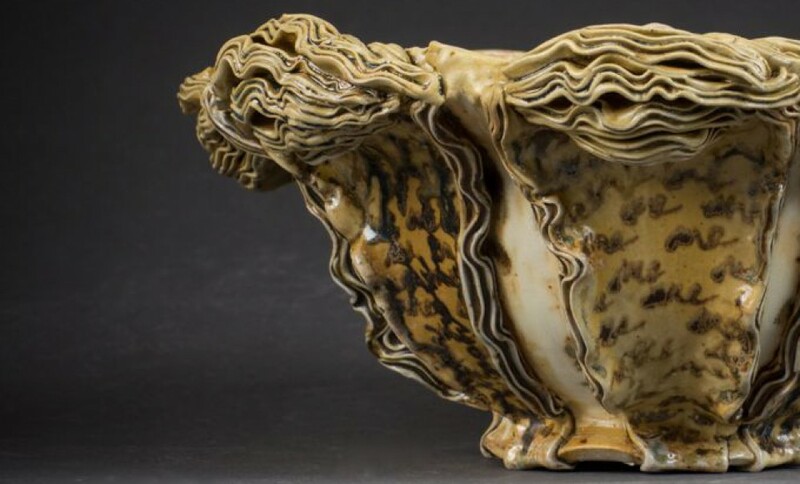 These are beautiful, I especially love the ceramic ones (big surprise there eh?) I just read something while I was doing research for my seminar paper that applies to what you’re working with… About scraping writing off parchment. I’ll see if I can find it again for you!